The stock hit a new high of Rs 367, up 9% on the BSE on the back of heavy volumes. 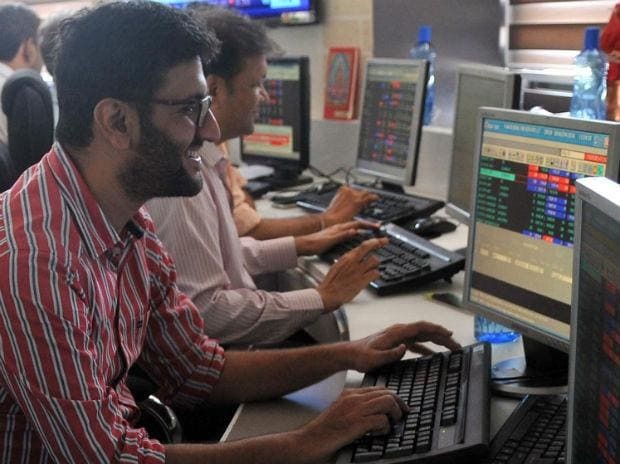 Shares of Newgen Software Technologies hit a new high of Rs 367, up 9 per cent on the BSE in intra-day trade on the back of heavy volumes, in an otherwise subdued market on Monday. The stock of IT consulting and software firm has rallied 25 in the past three weeks, as compared to a 1.7 per cent rise in the S&P BSE Sensex. Newgen Software Technologies is in the business of an all-round service of enterprise content management (ECM), business process management (BPM) and customer communications management (CCM). For first nine months (April-December) of the financial year 2018-19 (FY19), the company had reported a three-fold jump in its consolidated net profit at Rs 39.7 crore, as compared to Rs 13.4 crore in the same period of FY18. Revenue from operations was Rs 417 crore, up 27 per cent year-on-year compared to Rs 329 crore in 9MFY18. The company’s earnings before interest, tax, depreciation and amortization (ebitda) margin improved to 11.56 per cent from 6.29 per cent during the period. The rating agency ICRA has reaffirmed the short-term rating of the line of credit and additional limit non-based facilities of Newgen Software Technologies. “The rating continues to factor in the established market position of Newgen Software Technologies (NSTL) in a niche market with high entry barriers. The rating further factors in NSTL’s ability to cater to a diversified clientele with a wide range of products across geographies,” ICRA said in a rating rationale on April 2, 2019. ICRA also notes the company’s healthy financial risk profile characterised by a comfortable capital structure and coverage indicators as well as consistent growth in revenues and profits. This apart, the ratings take into account the healthy liquid investments and cash balances, indicating the comfortable liquidity position. The proceeds from the initial public offering are partially deployed in the purchase of property under the object clause, it added. At 12:57 pm, Newgen Software Technologies was up 5 per cent at Rs 353 on the BSE, as compared to a 0.20 per cent rise in the S&P BSE Sensex. The trading volumes on the counter jumped more than three-fold with a combined 1,98,415 shares changed hands on the BSE and NSE so far.